If you ask what the difference between these two systems is, we will answer you that one name (Pivot) is a common name and the other (Andruchi) is a proper name. The difference between them is zero. What can we say about these systems? The Andruchi system is similar to other strategies, but there are certainly some differences. Each strategy has some peculiarities but sometimes they do not influence the total way and result of the strategy. On contrary of Labouchere system, which tells us to bet specifically, the Andruchi system is based on the law of the third. 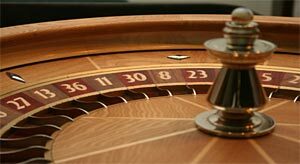 It says that for every 36 roulette spins only 24 numbers come up on average, while other 12 numbers won't. We do not take into account zero and double zero pockets. It means that the same numbers might come up several times. But the thing is that the system is based on the previous experience, which means that the statistics results are made on the numbers that already had come up. Is there any guarantee that it will happen again in the next 36 spins? Even if we agree on this fact, how can we know, which number will come up next. It will be one of 12 but which exactly? And how can we define the sequence of 12 numbers? We can start from one number, while the pattern can start from any other? There is another name for the algorithm used in the system. It is called chaotic pattern. How can something chaotic be called a pattern? And vice versa? Learning the pattern is very time-consuming. You will need at least an hour to observe and only then, if you are very smart and quick-witted to start playing. This system, even if it happens that it works, cannot be applied in a long run. You need to switch the patterns of the play. Earlier this system was available for purchasing. Now it is free but the author recommends applying it on the specific web-sites, which is pretty weird. It seems that on some roulette wheel it will work and on some - won't? Quite strange, as for the "best" system ever created.